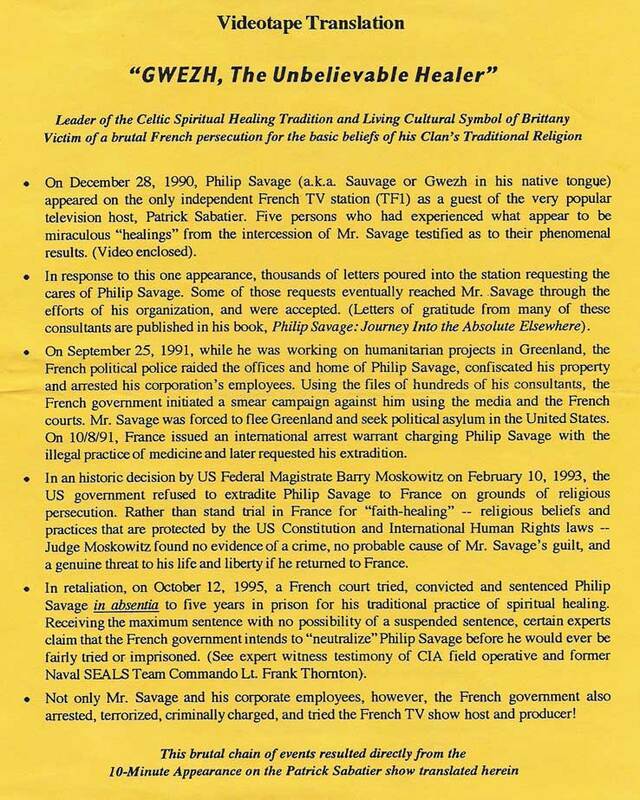 The following document summarizes the dramatic events of the infamous French persecution of Philippe Sauvage, culminating in the arrest and imprisonment of members of Sauvage’s organization, as well as the very popular TV show host, Patrick Sabatiur, and producer of the only independent television station in France, TF1. The outrageous chain of events described in this document forced Sauvage into exile in the US where he sought and failed to attain political asylum, despite the enormous support he eventually obtained from the highest political, professional and scientific levels in America. 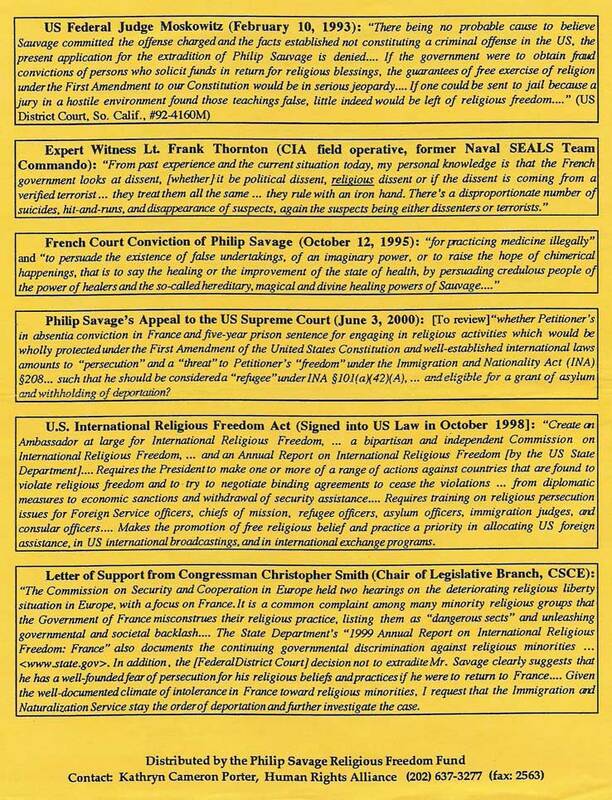 These unsuccessful attempts by the French government to "neutralize" Sauvage were surpassed only by the equally criminal activities of the US immigration "goons" who violated international treaties, US Constitutional law, and their own federal regulations to illegally deport Sauvage in 2001, while all his rightful legal claims were still pending in the US Justice system. Having survived this final humiliation, Philippe Sauvage is now "breaking through" in Europe with his science of subliminal influentiality in the form of MCC, and will continue to pursue his permanent resident status in America, the home of his US citizen children and supporters.